Brussels – The European Generic and Biosimilar medicines Association (EGA) announced today the launch of the European Value Added medicines (EVA) group, a new sector group of the EGA. 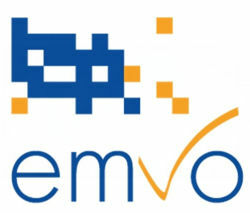 “EVA will be the leading voice of a broad-multi-stakeholder coalition supporting value-added medicines in Europe, engaging with patients and healthcare professionals in response to their needs and with payers to increase access to high quality and sustainable innovation for patients across Europe and worldwide,” said Adrian van den Hoven, EGA Director General. Value-added medicines are medicines based on known molecules which deliver significant improvements for patients, payers and/or health care professionals. For example, the added value may be created thanks to better health outcomes, better quality of life, improved tolerability, better adherence, less dosing frequency, reduction of medical errors or any other innovative solution addressing unmet needs for key stakeholders. The new European Added Value medicines group will be a partner for healthcare systems to improve the efficiency of healthcare and access to sustainable pharmaceutical innovation in Europe. This group will be open to EGA and to non-EGA members active in this field. The EGA represents the European generic, biosimilar and value-added medicines industries, which provide high-quality cost-competitive medicines to millions of European patients. Companies represented within the EGA provide over 160,000 skilled, high value direct jobs in Europe. Generic medicines save EU patients and healthcare systems over €40 billion each year and account for 55% of all dispensed medicines but for only 21% of the pharmaceutical expenditure in Europe. The European generic, biosimilar and value-added medicines industries’ vision is to provide sustainable access to high quality medicines for all European patients, based on 5 important pillars: patients, quality, value, sustainability and partnership. For more information please follow EGA at www.egagenerics.com and on Twitter @egagenerics and @ebgbiosimilars.